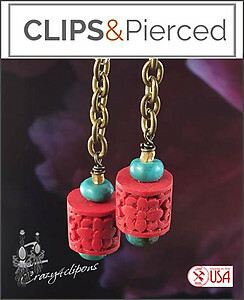 Features: Bright red faux cinnabar beads, turquoise rondelles and antique brass look beautiful together. 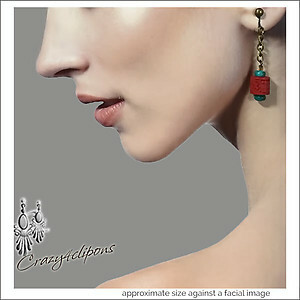 These earrings are available as small (no chain) or Medium (with antiqued brass chain). Either way short or medium they are light and unique.